A central bank order forcing defaulting firms into bankruptcy has been quashed by the country’s top court. Some lenders will go back to delaying resolution. Yet the judiciary has mostly upheld the newish bankruptcy code: the regulator can still turn the screws on Indian tycoons. 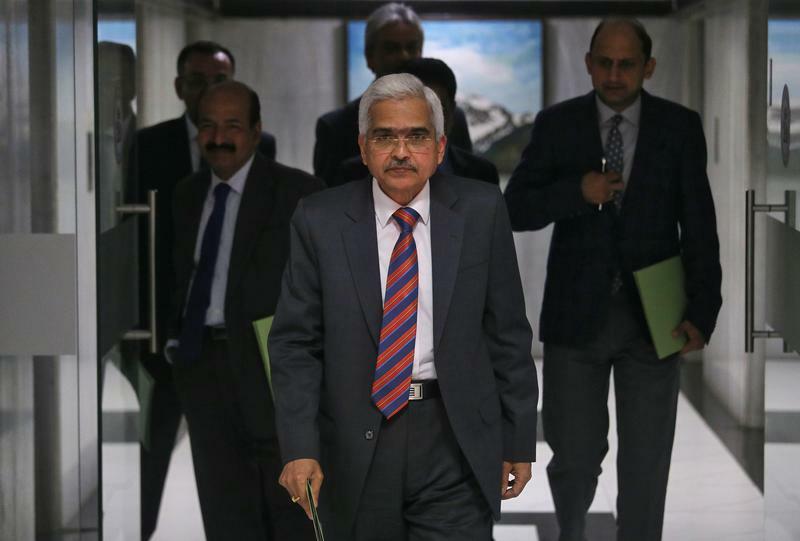 The Reserve Bank of India (RBI) Governor Shaktikanta Das arrives to attend a news conference after a monetary policy review in Mumbai, India, February 7, 2019. India’s Supreme Court ruled on April 2 that a central bank directive forcing defaulting firms into bankruptcy proceedings did not comply with the Banking Regulation Act. The circular from the Reserve Bank of India, issued on Feb. 12, 2018, had required lenders to implement a resolution plan within 180 days for defaulting accounts of 20 billion rupees ($290 million) and above, and to file for insolvency proceedings if that failed. The plan would have required 100 percent of lenders to consent. The finance ministry, through a report issued with its backing, had earlier argued that the “one size fits all” approach was “erroneous”.